Diablo III is finally here and if pre-orders are any indication, many of you are probably already playing it. With five separate classes that each have their own unique playstyle, you may be having trouble picking which one to play first. Luckily we've got a guide to choosing which class is right for you so you can start facing Hell's most powerful demons as fast as possible. Great if your favorite Diablo II character was: the Amazon or Assassin. 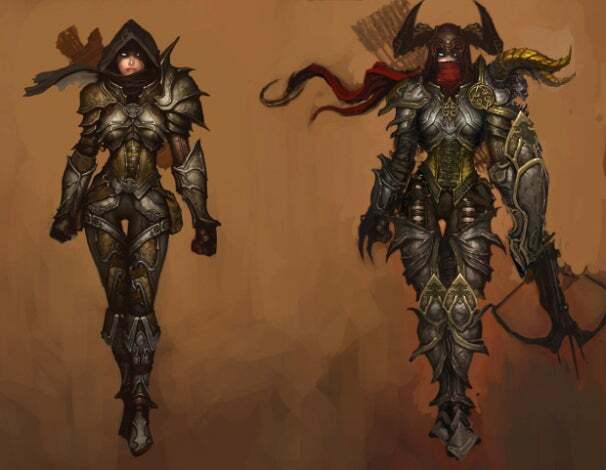 Diablo III's Demon Hunter is probably the most complex character to play, at least in the early going. With two separate resource systems to manage (Hatred and Discipline) and a fairly small health pool, the Demon Hunter tends to punish mistakes. However, the high damage output and multiple abilities to get yourself out of trouble makes it an ideal class for people who like playing as a frail but powerful character. If you enjoy the thought of destroying everything on screen before they manage to touch you, the Demon Hunter may be the class for you. Great if your favorite Diablo II character was: the Sorcerer. 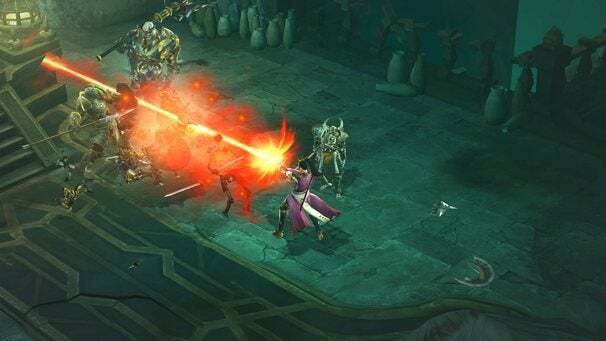 Diablo has had a spellcaster in all three of its iterations, and Diablo III's Wizard feels like a natural progression. It has the same frenetic feel as Diablo II's sorcerer while adding in some new tweaks. While the Sorcerer could occasionally feel starved for resources while constantly casting (at least until you got to higher levels) the Wizard starts off as a magic-casting machine. While this means the Wizard's attacks aren't quite as powerful as the sorcerer felt early in Diablo II, it solves the "hurry up and wait" game Diablo II could sometimes turn into while retaining the flashy effects and damaging spells players loved from Diablo II's ranged spell slinger. Great if your favorite Diablo II character was: the Necromancer. The Witch Doctor is Diablo III's summoner character class. If you like creating tons of minions to do your fighting for you then the witchdoctor's collection of spiders, demon dogs and other abominations is just what you're looking for. The Witch Doctor's main downside is that it's tough to say how it'll play at higher levels; many of the Necromancer's summons ended up feeling like they were made of paper toward the end of Diablo II, and we don't yet know if the same will be true of the Witch Doctor. Great if your favorite Diablo II character was: the Paladin. Diablo III's other melee class is also the one that grew on me the most during my first few hours with the game. In the early levels the Monk plays a bit like the Barbarian with more area-of-effect attacks and some self-healing abilities, but it also felt a great deal like Diablo II's paladin in that you're constantly building up the holy energy needed to unleash a devastating attack that can demolish your enemies. Great if your favorite Diablo II character was: well...the Barbarian. The one returning class from Diablo II plays very close to its Diablo II counterpart. If you loved the Barbarian for the ability to leap into crowds of enemies swinging your weapons wildly at anything that moves, then Diabo III's Barbarian is only going to give you more of what you enjoyed. 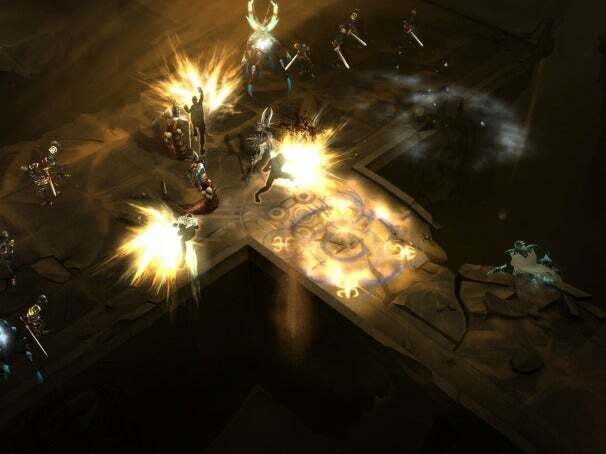 The new rune system means you'll still need to spend a little time re-learning the class but for veteran Diablo II players looking to get that old feeling back, the Barbarian is the easy choice. We'll have more information and a full review of Diablo III once we've had a chance to play through the full game, but for now check out our thoughts on the game's beta and our guide to getting ready for Diablo III.